14ymedio, Marcelo Hernandez, Havana, 19 November 2018 — Several building facades of Central Havana display a very unique graffiti that has appeared in recent days. The image shows a uniformed National Revolutionary Police (PNR) officer accompanied by a dog with whom he shares the same face, snout, teeth and fierce gesture. Man and animal have the appearance of being alert, the ears attentive and an aggressive look, as if about to launch themselves on their prey. The graffiti alludes, without subtleties, to the police violence and aggression that characterizes this body of public order in Cuba. That era during which television broadcast an announcement in which a small child claimed “police, police you are my friend”, has also been forgotten. Now, the members of the PNR are viewed with much distrust and fear by the population. The excesses committed during the arbitrary arrests, the fines and the detentions without cause have sufficiently stained their reputation, disseminated by the new technologies, have left testimony of the injustices or the excessive blows of these uniformed ones. 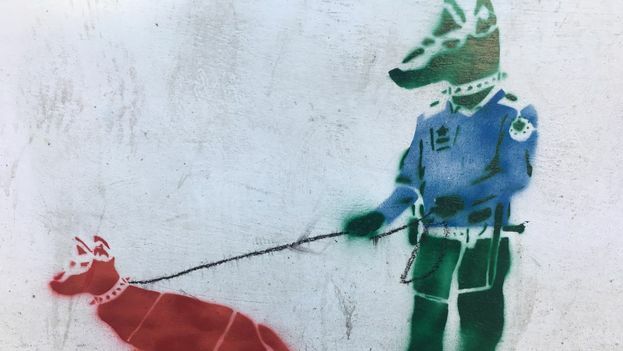 Part of that fear and suspicion has been captured by the graffiti artist in which the fierce irrationality of the animal is shared by a human being who should maintain order, not provoke violence or fear. 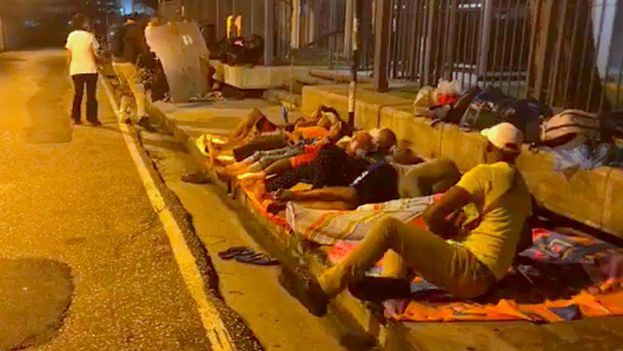 14ymedio, Luz Escobar, Miami, November 16, 2018 — A group of Cubans who had protested for days at the UN offices in Port of Spain, the capital of Trinidad and Tobago, were arrested by the authorities of that country on Friday, the police of the Caribbean island confirmed to 14ymedio. The migrants were unhappy with the United Nations High Commissioner for Refugees (UNHCR) after the agency withdrew monthly financial aid in October. A worker who collaborates with UNHCR, and who prefers to remain anonymous, explained that the arrests took place at around six in the morning. “They are detained at a police precinct called Belmont,” she explained. According to Barbara Enríquez, one of the women arrested who was able to get in touch by telephone with this newspaper from the police station, some 70 Cubans are with her. A part of the group of Cubans, who this Tuesday had used plastic bags to tie themselves to the fence of the UN compound in the capital in order to request a meeting with UNHCR officials to discuss their asylum requests, were interviewed this Thursday by the organization. In that meeting, which took place in a courtyard near the Venezuelan embassy, the UNHCR representative “did not want to discuss any issues” with the 15 representatives of the more than a hundred Cubans who are protesting their situation, according to Vera Morfa, and he also told them that the agency’s office was going to be closed for the next two months. The police have assured that all the Cubans are well and, although they have not provided more details, Bárbara Enríquez has commented that until now the treatment “has been good.” 14ymedio has tried to repeatedly contact, without success, the responsible parties from UNHCR to learn their version of what happened. The migrants began the protest two weeks ago after UNHCR decided in October to withdraw the economic aid that they received monthly and that allowed many to pay rent for a place to live, said Vera Morfa. Last Tuesday, the day the migrants tied themselves up at the UNHCR headquarters, the government of Trinidad and Tobago described the situation of the Cubans in that country as “very complex.” The Caribbean nation does not have legislation with respect to refugee matters and asylum claims, although it is a signatory to the Convention on the Status of Refugees. This prevents these Cuban migrants from working legally, having a bank account or obtaining a driver’s license, among other difficulties. “Everything has been very hard here, from the first moment I arrived in this country and I realized that there was no legislation for refugees it was a blow, now I have refugee status from UNHCR but knowing that there is no legislation here they took back the aid and left me with nothing. It’s been a month already that we haven’t gotten it. Because of not having that money, many of us were unable to pay the rent and that’s why we’re here,” lamented Vera. Absolute power equals absolute responsibility: the socio-economic situation of the country is disastrous, party & government admits it: Who will answer for that? 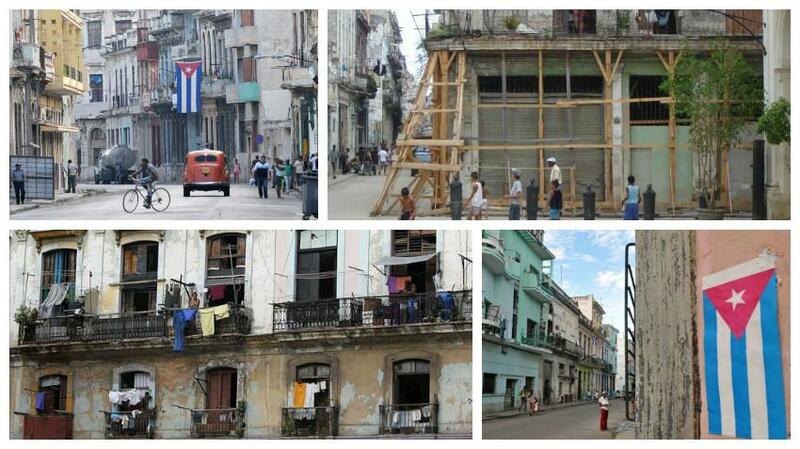 In the final days of this October, several references to the subject of housing appeared in the official Cuban media. Published first is that Pinar del Rio lacks more than ten thousand homes in order to fully recover from “prior hurricanes,” we are talking at a minimum of at least 10 years, and later, in the public version of a meeting of the council of ministers the “president” announced the proposal of building homes at a rate of 50 thousand per year. Let’s look at some background. The universal right to decent and adequate housing is reflected in international and multilateral documents and agreements, as well as in the legislation of many countries, including national constitutions. Recognized in this manner, the human right to adequate housing — and its environment – is of fundamental importance for the enjoyment of all economic, social and cultural rights. Let’s look at the current situation in Cuba according to official sources. Housing pending solution: Grand Total/Total Collapses — Hurricanes prior to Sandy (2012): 42,000/25,000; Hurricane Sandy (2012): 36,000/14,000; Hurricane Matthew (2016): 8,000/7,000; Hurricane Irma (2017): 115,000/15,000. In total, there are 201,000 homes affected; of those 61,000 were total collapses; 42,000 and 25,000, respectively, occurred before 2012. In summary, if the pace expected by Díaz-Canel is reached, it would take four years to replace the homes affected by hurricanes and then ten years to repair the “not adequate” ones, plus an indeterminate period for impacts from new hurricanes and the currently adequate homes that, due to the passage of time and the poor quality of construction of the last 60 years, will inevitably deteriorate. Add to this that the projected Diaz-Canelian pace is 2-1/2 times greater than what was achieved in the last five years as an annual average, plus the aforementioned unpredictable destructions and deteriorations, and the hopes of decent housing for most Cubans is more than remote. A problem without a solution? For sure, under the current mandate of the “five” and their dogmas that are only effective for maintaining power. The liberalization of the economy, the creation of a real estate market with modern credit system included, and above all the restitution to millions of Cuban diaspora members of their civil, political and economic rights with the consequent financial injection would surely give better results — in this and any other socioeconomic spheres — than the diffuse Díaz-Canelian dreams, which are nothing more than a badly copied version of the thousands of similar promises made by the Castro brothers… and look where we are after sixty years of listening to them. 14ymedio, Havana, 14 November 2018 — Three months after the local press in Sancti Spíritus denounced the contamination of several tributaries of the Agabama and Sipiabo rivers, surrounding the municipality of Fomento, swimming has been banned in those waters by the authorities, due to the lack of action and the exchange of accusations between different institutions that have not yet resolved the situation. “What have the main entities done to take action to counteract the pollution of the aquifers? What factors have contributed to the phenomenon that instead of improving it is getting worse?”, questions an article in the Escambray newspaper, which notes that about five years ago bacteriological analysis of the water began. Among the causes of the pollution reported by the Ministry of Public Health in October are the discharge of domestic wastewater and the excrement of pigs raised by individuals in their homes. Although experts from the Ministry of Science, Technology and Environment (Citma) maintain the hypothesis that the Agabama River is contaminated from Santa Clara. The local press argues that, according to the provisions of Law No. 124 of Terrestrial Waters that governs the management of this resource and guarantees its protection and quality, the power to ensure the quality of water is the responsibility of the National Institute of Hydraulic Resources (INRH), Citma, the Ministry of Public Health, and the local bodies of the People’s Power. These organizations do not know how to come to agreement in order to to solve the water problem in Fomento. “I was unaware of the magnitude of the closure of the swimming areas due to the contamination of surface waters,” the Provincial sub-delegate for Hydraulic Resources,Yusliadys Lorenzo Coca, told Escambray. The Hydraulic Utilization Company does not seem to know anything about the situation, either. The technical director of the entity, Francisco Hernández Lorenzo, said that he also did not know about the imbalance, alleging that they are responsible for the sources of the supply. When the local journalists reminded him that the company is the owner of the water, the manager placed blame on a higher institution. “Public Health should have communicated to do a joint study, because this has an impact on the population,” he replied. 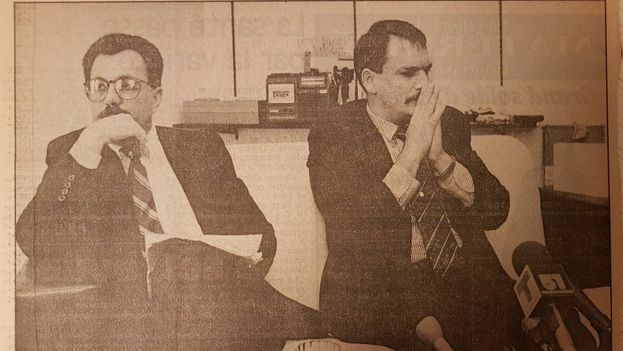 Citma, for its part, placed the responsibility on other institutions. “Who is responsible for taking action?, those who use the water and manage it: Hydraulic Resources, Agriculture, Azcuba, local bodies of the People’s Power,” said Néstor Álvarez Cruz, director of the Environmental Unit in Sancti Spíritus. “While in the law there are many that bear responsibility, in practice few take action on the matter, and the solution may take as many years as the pollution lasts,” the Escambray article points out in conclusion, while denouncing the lack of knowledge on the part of the competent authorities, the lack of organization and the obsolescence of the infrastructure. 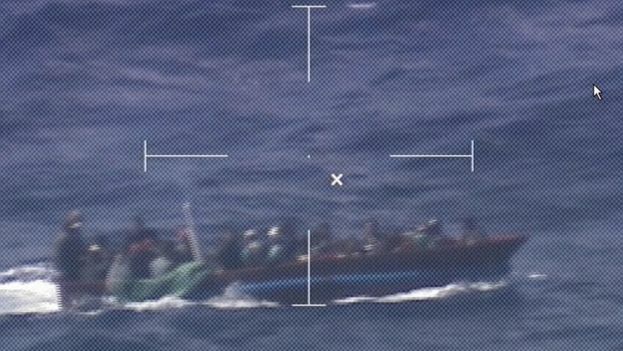 14ymedio, Havana, 12 November 2018 — The 37 Cuban migrants traveling in a boat heading north towards the United States were intercepted on Sunday by the Coast Guard Service of that country and repatriated to Cuba. The passengers of the boat, which was located by an air patrol, were 29 men and 8 women, according to a statement from the rescue service. The Coast Guard patrol boat William Trump intercepted the rafters after they were located and the crew proceeded to embark them onto the ship, where they received food, water and medical attention. One of the migrants was treated for headaches. “Many times these intercepted vessels are overloaded and unsafe, and the risk is simply not worth the possible reward,” said Lt. James Hodges, of the Coast Guard’s Seventh District, who said he was proud of those who participated in the mission. The US armed forces’ rescue service notes in the statement that, since the 1st of October, 82 Cuban migrants have tried to enter the United States illegally by sea. During the 2018 fiscal year, which ends on September 30 for the administration of that country, 296 migrants tried to illegally migrate to the United States. “These statistics represent the total number of interceptions in the Straits of Florida, the Caribbean and Atlantic waters,” the institution explained. 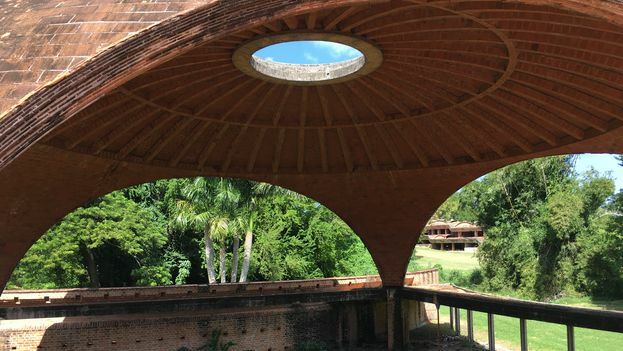 14ymedio, Justo Mora / Mario J. Pentón, Cienfuegos / Miami | November 09, 2018 – The deterioration of the hydraulic infrastructure in the center of the country is hitting hard at several hospitals in the region, which cannot function normally as they suffer from daily rationing of the water supply to complete cutoffs in the supply lasting more than three days, a situation that workers and users of these centers point out. “We have a problem with the water supply. 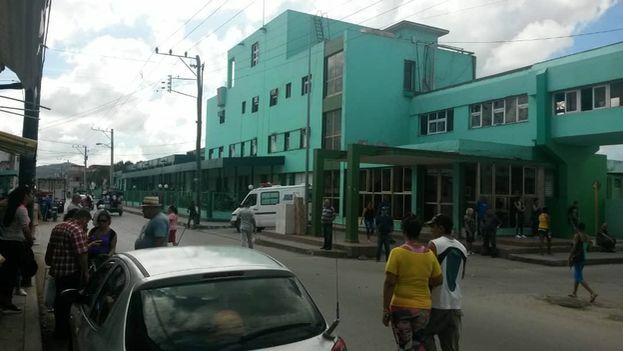 The authorities are trying to solve it with tanker trucks, but no surgical operations have been carried out in the past three days,” a worker of the Ernesto Che Guevara Cardiocenter told 14ymedio on condition of anonymity. The Cardiocenter serves patients from Villa Clara and Cienfuegos up to the province of Camagüey. The same employee explained that the problem not only affects the Cardiocenter but also all the hospital facilities in that city. The country’s water networks are very deteriorated, authorities have said, so that other hospitals in the region also suffer similar problems. 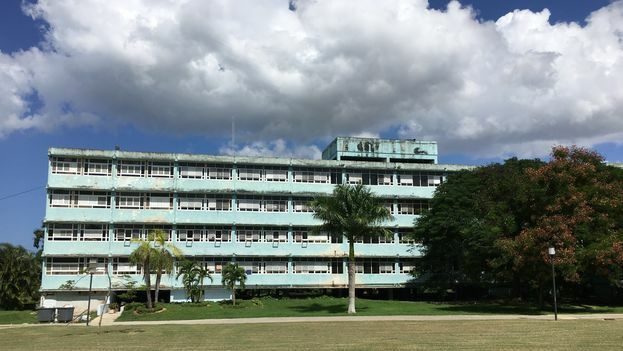 This is the case of the Cienfuegos Gustavo Aldereguía Lima Provincial Hospital and of the Camilo Cienfuegos Hospital, in Sancti Spíritus, which have had to ration water to avoid interruptions in the service. A worker at the hospital in Cienfuegos complained that, at night, there is no water in the emergency surgical rooms and that the surgeons have to wash their hands with bags of saline. Last August, the inhabitants of this city had to face the lack of water not only in hospitals, but also in their own homes. The facilities at these medical centers have several decades of use and have never, for all practical purposes, been repaired. This is coupled with a serious water leakage problem that is common throughout the country. 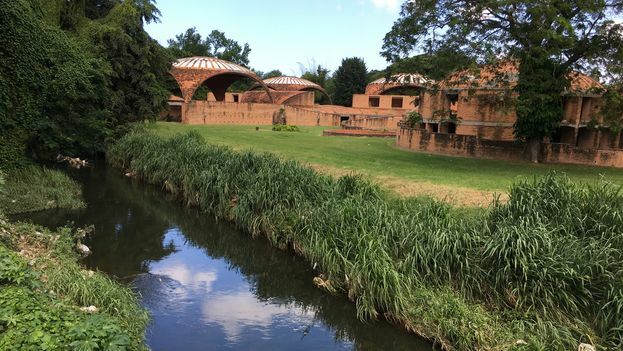 The former president of the National Institute of Hydraulic Resources, Inés María Chapman Waugh, noted that every year more than 3.4 billion liters of water are lost through leaks in the country. 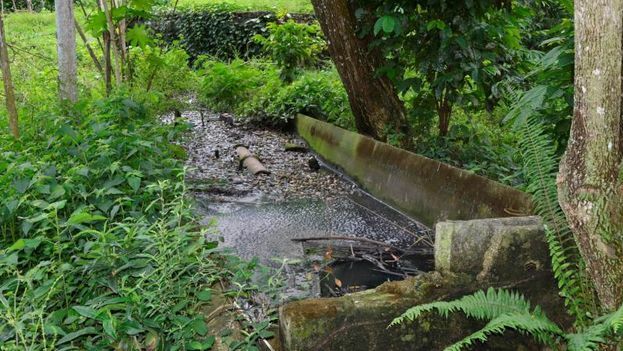 The loss from pumping this water that ends up in puddles and small streams in the streets is valued at around five million euros, according to the official press. “My sister is waiting for a heart valve replacement, how is it possible that they cannot operate because there is no water?” laments Luis, who waits outside the Cardiocenter. 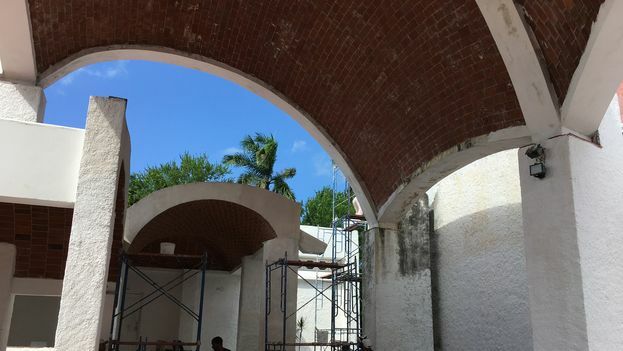 The official press points out that in the Camilo Cienfuegos Hospital in Sancti Spíritus the 400,000 liters that are stored in the cistern are not enough to satisfy the needs since it is wasted. A recent report by the newspaper Escambray indicates that “cascades” are heard during the day, in reference to the leaks that spill all the water accumulated in the storage tanks into rooms and offices. The director of the hospital, Eduardo Pedrosa Prado, also explained the water restrictions they endure. When the company Acueducto stops pumping water to the medical center, the decision is made to cutoff the internal pumping at 10:00 at night. The hospital runs out of water until 5:00 in the morning because otherwise the water stored in the cistern would not be sufficient for the next day. The same routine used by the Gustavo Aldereguía Hospital in Cienfuegos is carried out in Sancti Spíritus. The nurses wash the hands of the surgeons with glassfuls of water that they extract from the gallons that they save during the day. “We have become accustomed to this situation, but it is unhealthy and it endangers the lives of patients. We spend our lives in front of the world saying that we are a medical power and we send aid to other countries, but the truth is that nobody knows the sacrifice of those of us who work in public health,” a surgeon tells this newspaper. 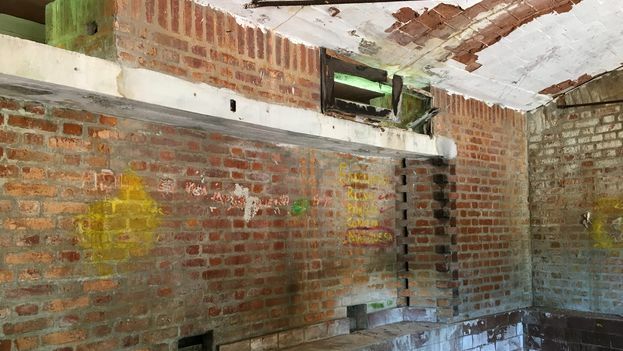 The state of the bathrooms in the rooms of the provincial hospital of Cienfuegos is “lamentable”, says Ernestina Guzmán, a companion of a patient with kidney problems. “The toilets do not have tanks. To flush you have to load a bucket of water and throw it into the toilet, and often there is not even water, so the bad smell stays around all day in the room,” she details. Guzmán laments that the cleaning of the facilities “does not meet the needs of the hospital.” She maintains that even inmates are sent “to clean the rooms because nobody wants to work for the salaries paid by Public Health. They clean up badly and do not even use the appropriate disinfectants for a hospital,” he complains. “I already know that healthcare is free, but even though it is, or precisely because it is everyone’s right, hospital centers should have quality,” she adds. 14ymedio, Marcelo Hernandez, Havana, 8 November 2018 – There are parents who cross their fingers that their children become independent and others who sigh in the distance because their offspring have emigrated or have moved away from home. In a country where there is a deficit of more than 800,000 houses and the housing problems force several generations to live together under one roof, it is easy to think that nobody suffers from the empty nest syndrome, but it is not so. According to the Population and Housing Census conducted in 2012, 12.6% of Cuban households are made up of single adults. Many of them have seen their children leave to go abroad or start a new life together with their partner in another house. Loneliness, depression and questions about the meaning of one’s existence appear in many of these parents. For social and medical services, recognizing these symptoms and helping those who suffer from them is essential. Many of the elderly people who eat in Pío Pío live alone or with other older adults. “They are people who dedicated a good part of their lives to the care of their children and in a moment they were left alone,” laments the employee. In the living room, which functions as a dining room, several old people converse and one shows the photos of a son who lives in distant Hamburg. 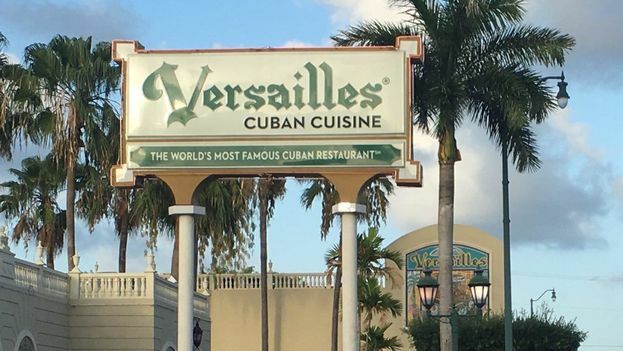 The Cuban family has been scattering in recent years with the upturn in travel abroad and emigration. Often younger children leave in search of new horizons and with the promise of helping their parents financially. In the case of women, the effects of this separation can be expressed with greater severity. 49.1% of older adults living in single-person households are females with a median age of 69 years. For the psychologist Miguel Lugones, mothers feel “that the home is lonely, that their children have grown up and become independent and she feels that she has lost her leading role socially.” The empty nest seems wider and more alien for them. 14ymedio, Antonio Tang Baez, Montreal | October 23, 2018 – “Au revoir, mon ami,” I said to the most wanted deserter of the Cuban intelligence services on the banks of the Seine, in the center of Paris. I left him to his fate, while he walked calmly during a campaign of denunciation in the French capital against Cuban espionage maneuvers. At that time we had information that Puerto Rican separatist groups had discovered his presence on the island and were preparing to carry out another attack against the well-known Cuban deserter, who had already been wounded on a previous occasion in London by an agent from Havana. Aspillaga and I were there denouncing the Cuban interference in the independence referendum that was going to take place on that island. Once again I had to participate in the operation because my friend always required my presence despite my youth and complete ignorance of the art of espionage. In the middle of the “evacuation” from San Juan to Miami, the bodyguards pushed us into the vehicles and insisted: “Get in the car and take the flight we have booked for you. You and your friend are in danger.” I remember my strong protest, because I still had two nights at the Casino Hotel where I was staying, arguing that no one was looking for me, but my arguments fell on deaf ears and I finished my last two days of the operation in a boring Holiday Inn in Miami. Florentino always forgave my rookie mistakes. He never allowed many photographs. The distrust and paranoia of the intelligence officer always accompanied him. However, he was never annoyed with me for taking pictures. He had a heart and a human sensibility that surpassed the vicissitudes of his profession. Memories are so many and so scattered when a friend from youth is lost. Together we fight for a better Cuba. Today his death surprises me and I can only say with pain: Goodbye, friend. 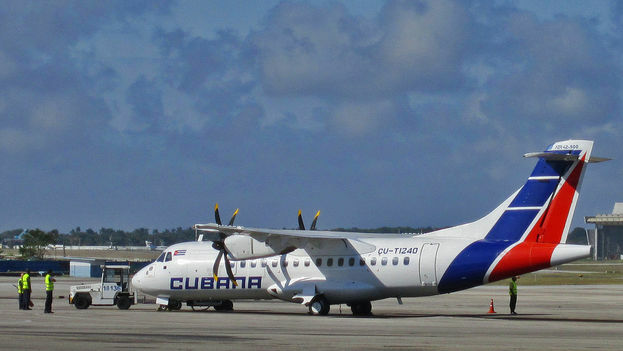 14ymedio, Havana, 24 October 2018 – Cubana de Aviación announced on Wednesday the restoration of three of its domestic routes starting on October 28. In a statement, the airline reported that air links will resume between Havana and the cities of Guantánamo, Baracoa and Camagüey. 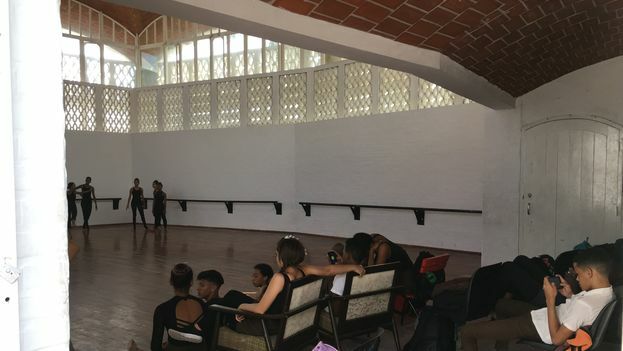 Ticket sales are available in the sales offices as of this past Monday, as confirmed to this newspaper by the commercial office of Cubana de Aviación in Havana’s Vedado neighborhood. A worker from one of the commercial offices where the tickets for these routes are sold confirmed to 14ymedio that prices are still the same as those in effect prior to the cancellation of these routes. The information desk of the company at the José Martí International Airport in Havana also informed this newspaper that the routes will be covered with model ATR 72-500 aircraft. The airline has announced that it will gradually inform about the restoration of other national routes “in accordance with the normalization of conditions in each destination”. The company refers in this manner to the suspension of all flights in the national territory that took place at the end of March of this year due to the lack of aircraft to cover the routes within the country. At that time news of the cancellation of the flights took time to broadcast in the national media and the airline also did not report the situation quickly, which caused uncertainty among travelers who had a ticket to fly on Cubana de Aviación. In the past, as a result of customer complaints about partial cancellations of departing flights, airline executives have had to face criticism, citing that “the technical problems of the aircrafts” are the main causes of delays and cancellations. On May 18, a month and a half after the cancellation of all domestic flights, a Boeing 737 of the Mexican airline Global Air, and leased by Cubana de Aviación, crashed shortly after takeoff from Havana airport while heading to Holguin. In the accident, 112 of the 113 people traveling on board died, including passengers and crew. 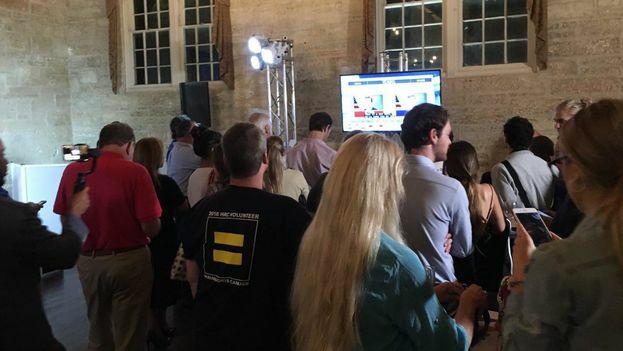 14ymedio, Havana, 20 October 2018 — A year ago this newspaper launched a membership program to consolidate the independent economic model that we have bet on from the beginning. 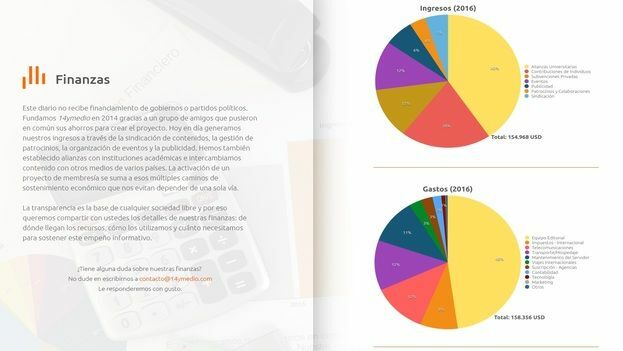 As you know, 14ymedio does not accept money from any government and intends to serve only its readers. Throughout this year we have received concerns from some people who want to collaborate with us but feared that their personal data would end up in inappropriate hands, with the consequences that this implies in Cuba. The majority of our editorial office members are in Cuba, along with various collaborators in Miami and Madrid who are responsible for the publication of the texts and the refresh of the cover throughout the day. They can do this because they have good internet connections. Everything related to the names and personal data of those who participate in our membership program is handled from Miami and Madrid, without going through Cuba at any moment. The subscribers’ information is not kept nor stored in the national territory or on Cuban servers. On the other hand, the funds received are used to pay the salaries of the staff in Havana and the correspondents in the provinces, as well as for communications, transportation and other expenses within the Island. Our MailChimp service is always handled with the utmost caution from computers connected far from the controls of the Telecommunications Company of Cuba (Etecsa). We have suffered firsthand from the surveillance of State Security and, for this reason, we take very seriously the protection of personal data of each and every person. 14ymedio, Havana, 19 October 2018 — Nothing has changed for freedom of the press on the island since Miguel Díaz-Canel became president last April. This is the conclusion reached by the Inter-American Press Association (IAPA) in its report presented this Friday at the organization’s General Assembly that will continue until the 22nd in Buenos Aires. On this last point, the report makes reference to the controversial proposal for the reform of Article 60 of the Constitution. Although the new text recognizes the freedom of the press for citizens, the media will continue to be “socialist property of all the people, which ensures its use for the service of the whole society.” In addition, “the State establishes the principles of organization and functioning for all means of social communication”. Government tactics to silence independent journalists have not diminished either, according to the report of the association, which indicates that short-term detentions and the use of subpoenas for interrogation in the offices of the Ministry of the Interior (Minint) are common and aim to intimidate these professionals. The IAPA affirms that although men are detained more frequently and for longer periods, “it is the women to whom the Minint applies the most prolonged punishments, especially those who have children.” It specifically quotes the case of economist Karina Gálvez, also a member of the editorial board of the magazine Convivencia (Coexistence), who is serving a three-year sentence for tax evasion and is not authorized to practice her profession. The “frequency and aggressiveness” of verbal harassment against independent journalists in public has also increased, according to the report, which sets forth the case of Iris Mariño. The photographer and reporter at La Hora de Cuba “suffered continuous sexual harassment, in the form of stalking, filming, touching and even kissing from agents of the State Security,” the article reads. Other repressive practices of State Security, such as the confiscation of personal and work property, the prohibition against leaving the country or the interrogations or “exhaustive reviews during airport stops” remain almost unchanged. In its report, the IAPA does not minimize the importance of the new technologies so that independent reporters can carry out their work, and notes that “a score of media websites focused on the country as well as international newspaper organizations” continue to be blocked on the island. And it also points out that “the prices and the poor geographic reach of Internet access prevent the use of the web to inform or share information,” alluding to the low quality of the service provided by the Telecommunications Company of Cuba monopoly, Etecsa. 14ymedio, Havana, 16 October 2018 – The President of Spain, Pedro Sánchez, will visit Cuba November 22 and 23, the first visit by a Spanish president to the island in 32 years. The trip, according to the newspaper El País, citing diplomatic sources, was agreed to during a meeting with President Miguel Díaz-Canel when the UN General Assembly was in session. El País calculates that, given the revised schedule, the Spanish president will have to cross the Atlantic three times in little more than two weeks. First to travel to Guatemala between November 15 and 16, then to go to Cuba on the 22nd and 23rd and, finally, between November 30 and December 1 to attend the G20 summit in Buenos Aires. The sources consulted pointed out that the surprising thing is not that a Spanish president will visit Cuba, but that none has done so in more than three decades,” according to the note. The last time a head of government of that European country visited Havana was the socialist Felipe González in November 1986. 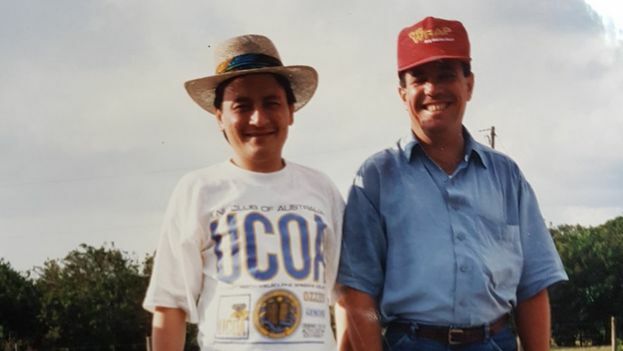 Later, in 1999, the then president José María Aznar visited the island with King Juan Carlos to attend the Ibero-American Summit but it was not an official visit. Now, the objective of the visit of the Spanish President aims to normalize relations with the island, which with the arrival last April of Diaz-Canel to the presidency isn’t governed by the Castro brothers after the triumph of the Revolution in 1959. Predictably, Pedro Sánchez will not only meet with the Cuban president, but also with members of the Spanish community who have settled in Cuba and with representatives of the more than 200 companies operating in the country. It is not known if he will hold meetings with the opposition or independent civil society groups. “A visit (to Cuba) from the King is pending which, if it were to take place, would be the first in history by a Spanish monarch.” If Sanchez’s visit is successful, Felipe VI could travel in 2019, coinciding with the 500th anniversary of the founding of Havana”, the El País note speculates. 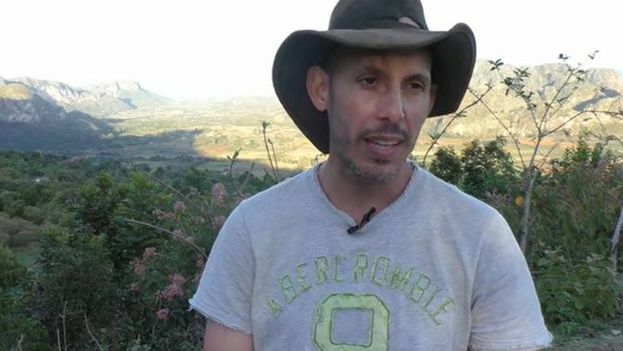 The UN Calls For "Adequate Reparations" For Ariel Ruiz Urquiola For His "Arbitrary Detention"
14ymedio, Havana, 17 October 2018 – The arrest of biologist Ariel Ruiz Urquiola was arbitrary according to the report prepared by the United Nations (UN) Working Group dedicated to this matter. The document asks the Government of Cuba to grant him “adequate reparations,” including immediate unconditional release. The document, which has already been sent to Havana, will be published in full in the coming weeks, but the information was released by the Cuban Observatory of Human Rights (OCDH), which describes it as a “strong setback” for the government in a press release from the organization based in Madrid. 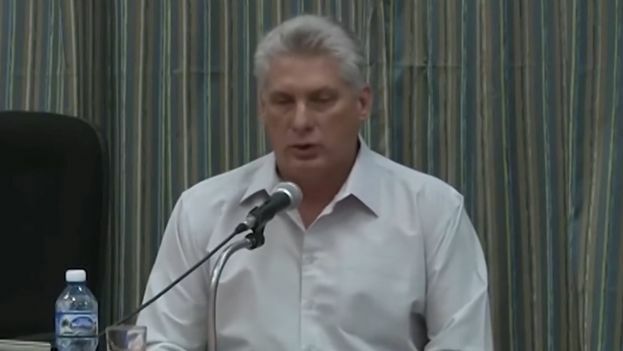 Ariel Ruiz Urquiola, who continues his project in Viñales (Pinar del Río) after been released an “extrapenal license,” which means he can be returned to prison at any time, denounces having received pressure and threats from the State Security to return to Havana and affirms that the government of Cuba “is unable to compensate for all the damage” that it has caused him. 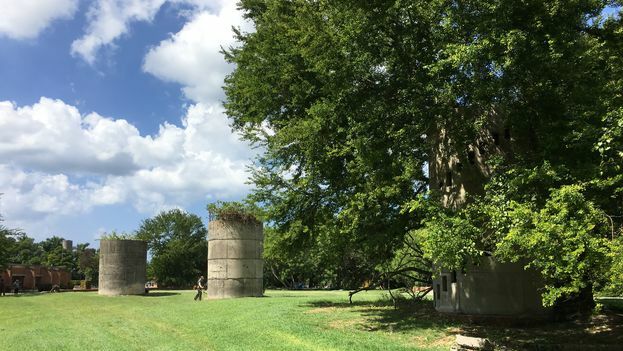 The scientist was sentenced to one year in jail for disrespect after an altercation with officials, but has always argued that his case was due to a government plan to destroy his ecological project. 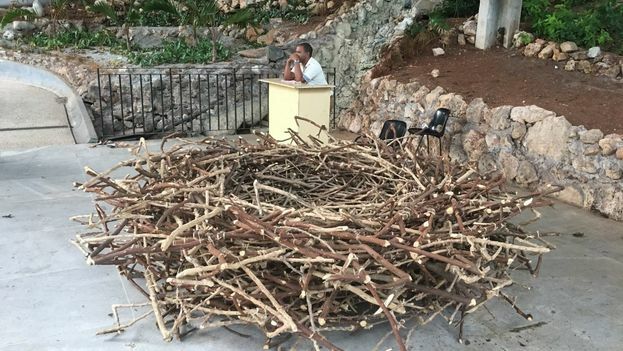 During his career, the biologist had repeatedly denounced the damage to the Cuban ecosystem, such as the indiscriminate felling of trees, the hunting of endangered species and the dumping of toxic substances in the waters of the valley of Viñales. His family, moreover, has affirmed that it is about revenge on the family, since the father, Máximo Omar Ruiz Matoses, was a high official of the Cuban army and served 17 years in prison for opposing the regime. Ariel Ruiz Urquiola received help from organizations such as Amnesty International and well-known personalities such as the Bishop of Pinar del Rio, Jorge Serpa, and even the troubadour Silvio Rodríguez, who asked that the case be analyzed with “maturity and dialogue.” “I am going to live my life as a social and honest being, which is what I am,” Ruiz Urquiola said after learning about the UN decision.